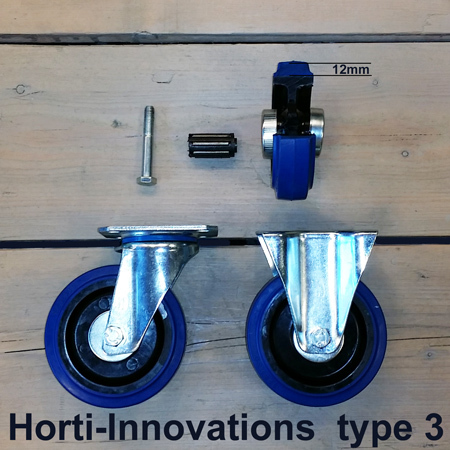 Horti Inovations has 4 different types of wheels that fit under any Danish trolley or CC container. 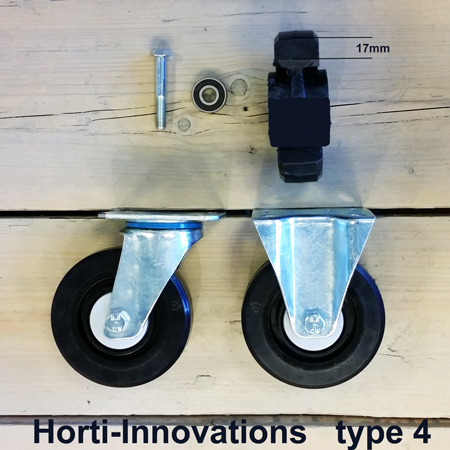 Horti Innovations has 4 different types of wheels available that fit under any Danish trolley or CC container. 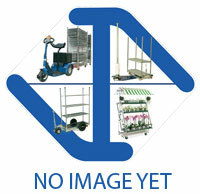 Both swivel castors as fixed castors are available. Type 2 (new wheels) is a wheel of Chinese quality as well. The quality of the steel and plastic is better than Type 1. Type 3 (new wheels), wheels are of German quality. The syntethic rubber and steel are high quality, and the wheel spins around a needle bearing. 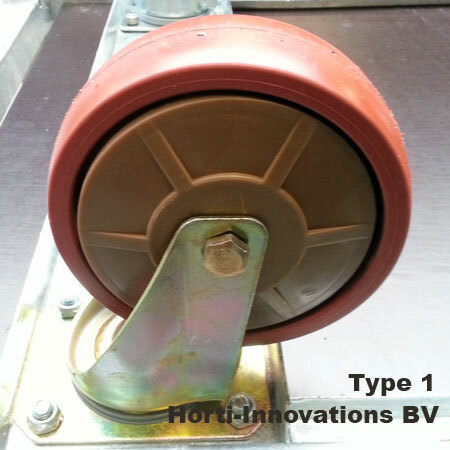 The Type 4 (new wheels) wheel is the highest quality wheel in our assortment. 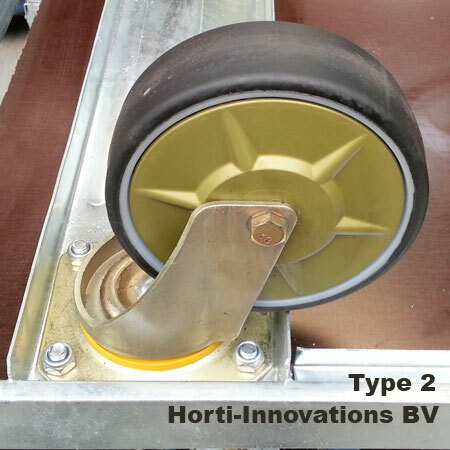 The wheels are produced in Germany, and made of high quality rubber and steel. The wheel spins around a ball-bearing instead of a needle bearing.